Stroll through some of D.C.'s neighborhoods, and you’ll spot historic homes that come with manicured lawns and million-dollar price tags. But what you might not know is that many of these homes came from a Sears catalog. 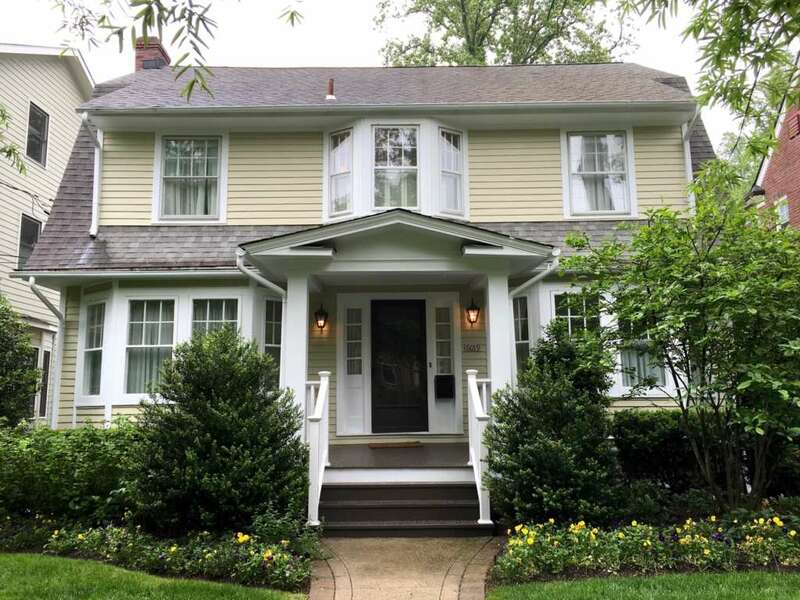 WASHINGTON — Stroll through D.C.’s Chevy Chase, Cleveland Park and Takoma Park neighborhoods, and you’ll spot historic homes that come with manicured lawns and million-dollar price tags. 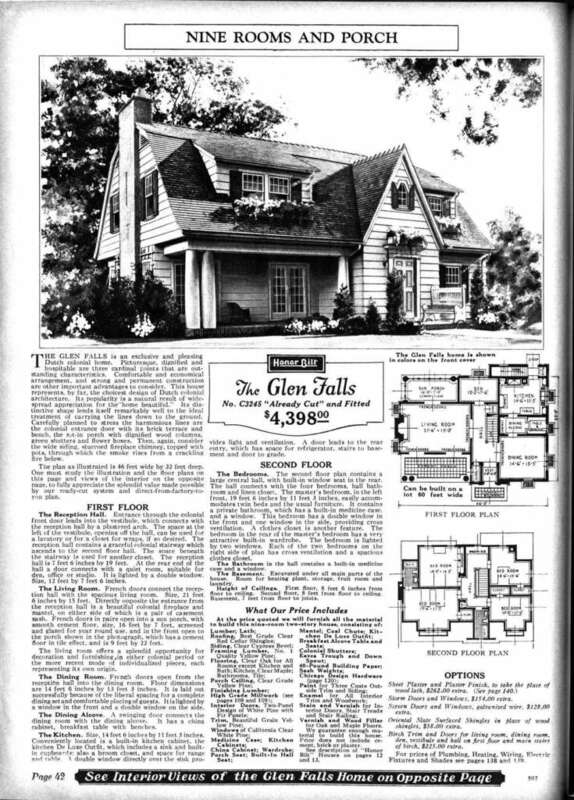 But what you might not know is that many of these homes came from a Sears catalog, or similar publication, nearly 100 years ago. The D.C. area is home to a couple hundred “kit homes,” or ready-to-assemble homes that customers ordered directly from a catalog, such as Sears, Roebuck and Co. and Aladdin Homes. The materials needed to build the houses were custom cut and packaged in a kit that was then shipped by rail directly to the homeowner. Catarina Bannier, a real estate agent and kit home expert in Northwest D.C., compares the concept to a “gigantic Ikea kit, all stacked up in a certain order.” The materials even came with a booklet of instructions detailing what to take out first and how to properly assemble the pieces. Bannier says kit homes, which were most popular in the 1920s, were appealing to homeowners and builders for several reasons. First and foremost, they were high-quality. “They were fast … and they were very economical too. It was predictable how long it would take to put it together — you didn’t have the crazy delays [we have today],” she added, noting that once an order was placed, the materials could be cut and shipped in less than six weeks. Bannier, a Berlin native and former journalist, became fascinated by the area’s kit home collection in the 1900s after thumbing through a copy of the book, “Houses By Mail.” By chance, she walked into an open house that displayed the same book and realized that she was standing in a historic kit home. Ever since, Bannier has been tracking down and documenting the area’s kit houses, often verifying her hunches with old mortgages, cross-referenced census data, images of stamped lumber, historic building permits and ancient newspaper ads. She documents her findings on the website DCHouseSmarts and is currently working on a project with Historic Chevy Chase D.C. to uncover all of the neighborhood’s kit houses and make the information accessible to the public. So far, Bannier has authenticated about 100 homes in the upper Northwest neighborhood, most of which are from Sears or Lewis Manufacturing Company. “We’re talking about houses, some of them sell for $2 or $3 million now, and the owners often have absolutely no idea that they have a kit house,” Bannier said. The homes may cost more than $1 million now, but 100 years ago, the price for a kit house ranged from a couple hundred dollars to a couple thousand for the more elaborate models. In some instances, and especially in the D.C. area, the owner also had to pay a mason to lay the foundation and a builder to put the home together. “In a lot of the other parts of the country, a lot of the smaller kit houses were actually built by the owners and their families. In D.C. we have very little of that,” Bannier said, adding that most of the homes in the area were finished by builders and developers. “There was a great margin for a builder, especially for a large house because it was fast and it was cut to precision,” she said. 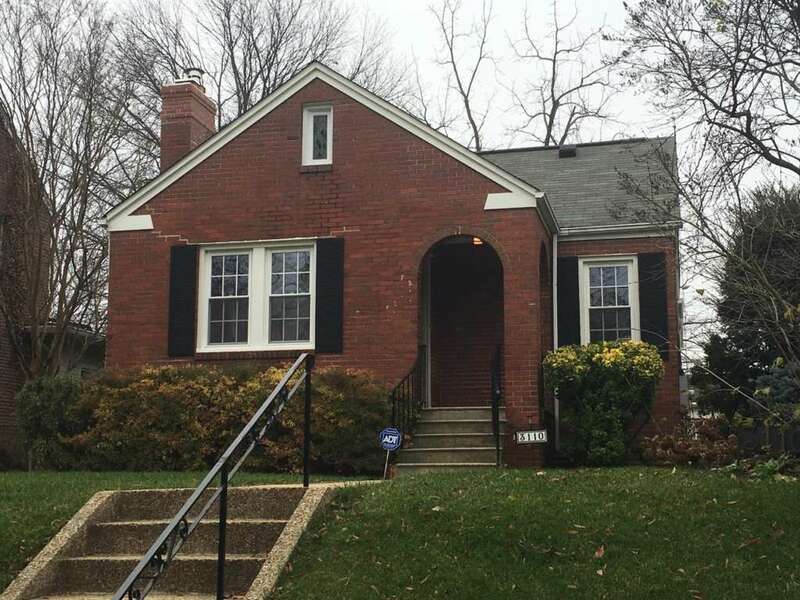 In addition to Chevy Chase, the neighborhoods of Glen Echo, Takoma Park, Cleveland Park, Silver Spring and Shepherd’s Park are also home to a number of kit houses. One thing these neighborhoods had in common at the time was proximity to a railroad station or streetcar line. Bannier explains once the housing materials arrived, they needed to be moved quickly to the site of construction, so it didn’t make sense, financially, to order a catalog home if you lived far away from the train station. A large portion of the area’s 100-year-old kit homes are in pristine condition; others haven’t been so lucky. Bannier says in neighborhoods that have experienced hardship or are “fast changing,” the homes have likely been flipped by a developer and stripped of any original detail. However, in wealthier, more suburban neighborhoods, many of the original details are still in tact. “People kind of have an appreciation for this type of thing, and I think in a way we’re lucky that the times are kind of over where people are into modernizing at all costs,” Bannier said. Want to learn more about the historic kit homes of Washington, D.C.? Follow Bannier’s website, DCHouseSmarts, and blog, DC House Cat, for a detailed look at the catalog homes in the area. 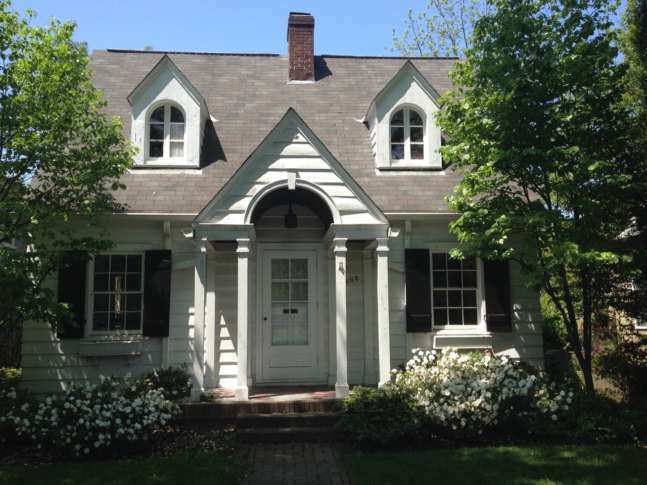 And stay tuned to Historic Chevy Chase D.C.’s website for Bannier’s published project.